Concordia Seminary, St. Louis, hosted the annual Day of Exegetical Reflection on Sept. 17, 2012. 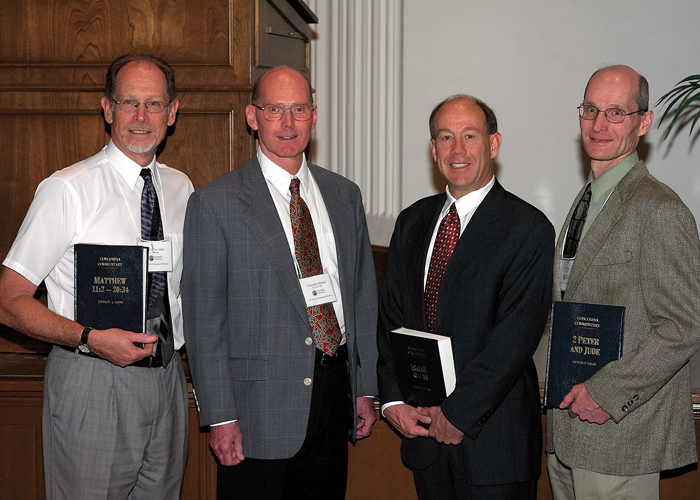 The seminary graciously allowed CPH to honor three commentary authors by presenting them with special leather-bound copies of their most recent contributions to the series. Pictured, from left to right, are Dr. Jeffrey Gibbs (Concordia Seminary, St. Louis), holding Matthew 11:2–20:34; Dr. Christopher Mitchell, commentary editor at CPH; Dr. Reed Lessing (Concordia Seminary, St. Louis), holding Isaiah 40–55; and Dr. Curtis Giese (Concordia University Texas), holding 2 Peter and Jude. 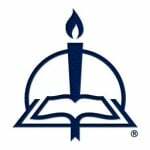 Dr. Giese has assumed the role of New Testament Editor for the series, a role previously filled by Dr. Gibbs.